The imageFORMULA DR-M160II Scanner is a productivity-boosting desktop scanner. 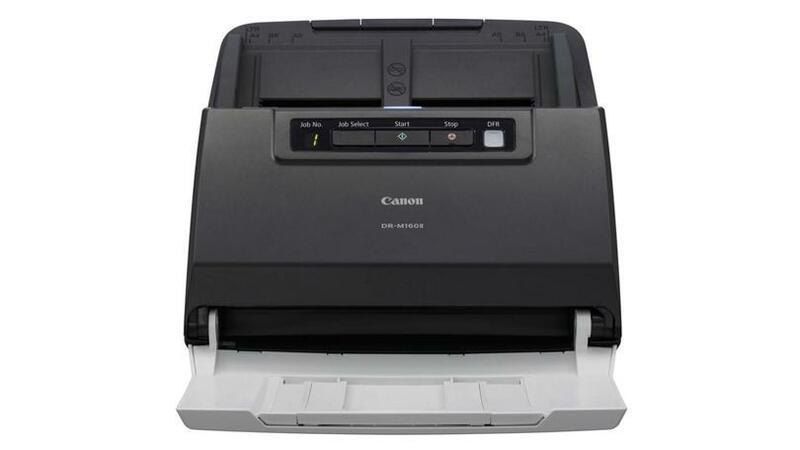 With a robust design, fast speed and reliable media handling, it is ideal for paper-intensive scanning. 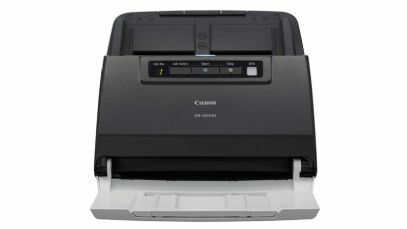 Built for demanding scanning environments, the Canon DR-M160II provides highly productive scanning at up to 120ipm. It is great for OCR processing in both Windows and Mac environments. To scan bound materials easily, connect the DR-M160II to Canon’s optional A3 Flatbed 201 or A4 Flatbed 101 scanner. Additional options include the Barcode Module III and a 2D Barcode Module. The robust design includes an impressive 60-sheet feeder, which accommodates mixed batched documents to help boost productivity. The DR-M160II Scanner is designed to provide super-reliable feeding and separation of various media types; from thick to thin sheets, and from embossed cards to three metre-long documents. Built to handle up to 7000 scans/day, the DR-M160II includes heavy-duty feed rollers and a solid paper transport that make it extremely durable and able to take on heavier workloads.